In West Oxfordshire district, UK there are around 29 nursing homes and senior centres which need items for their residents. The most important items that are in need are blankets and shawls, so needlework was chosen as an activity to help the elderly residents. 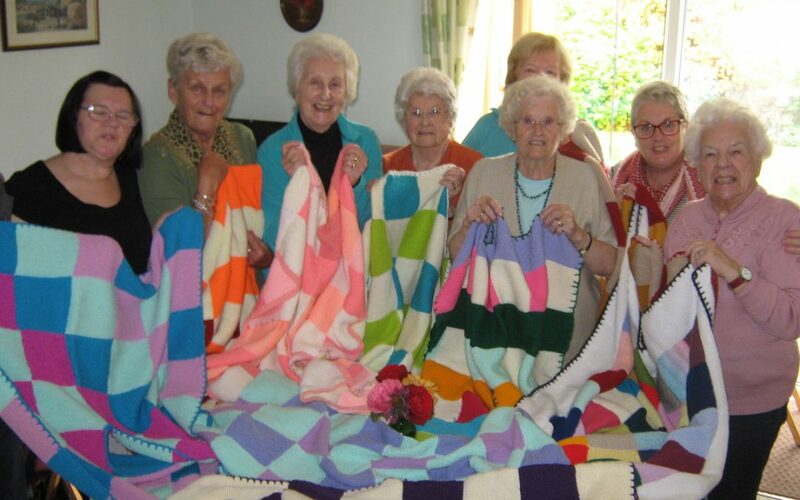 By involving the local citizens and encouraging them to use their spare knitting yarns to make knitted squares which could then be sewn into blankets for the elderly, we were swamped with bags and bags of donated yarn. 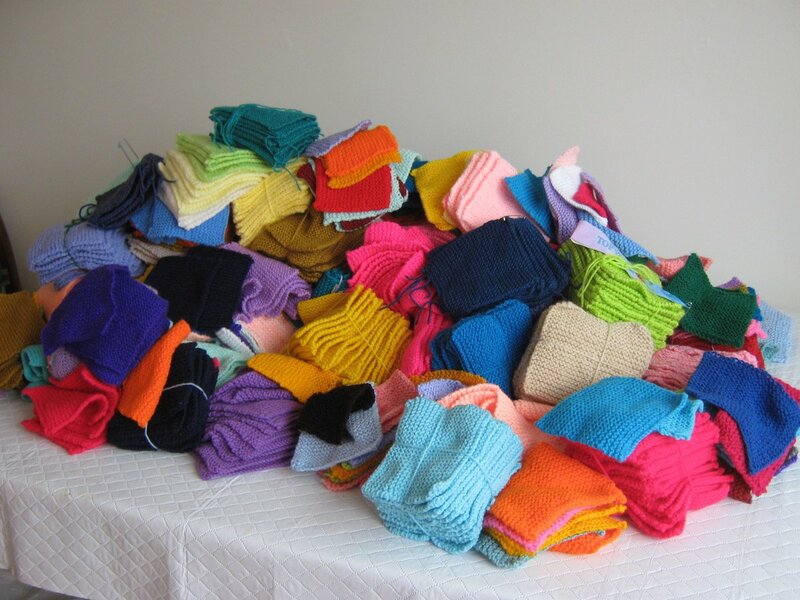 With the assistance of many local helpers and some other friends across the region, we have knitted more than 4,000 squares! 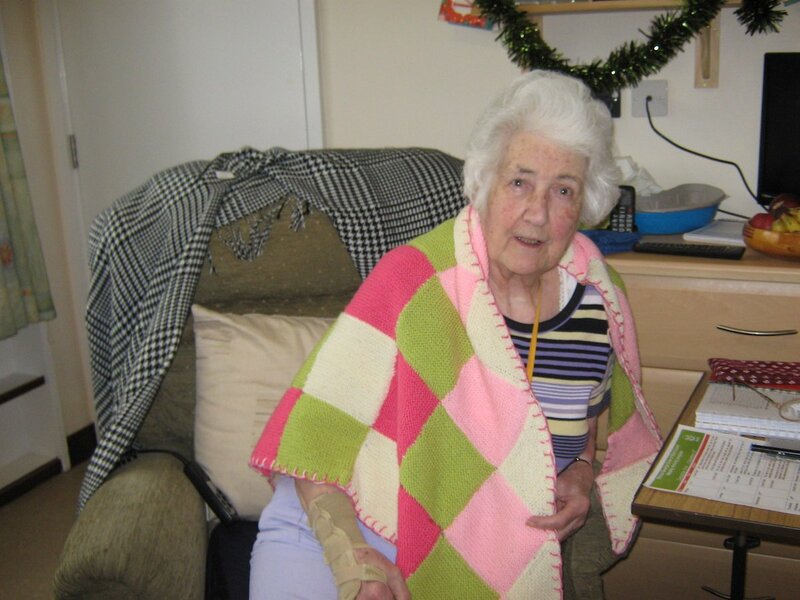 In order to accommodate elderly residents who are taken outside in wheelchairs on occasions, the blankets were made to go around the shoulders or on the lap and over the knees for comfort. 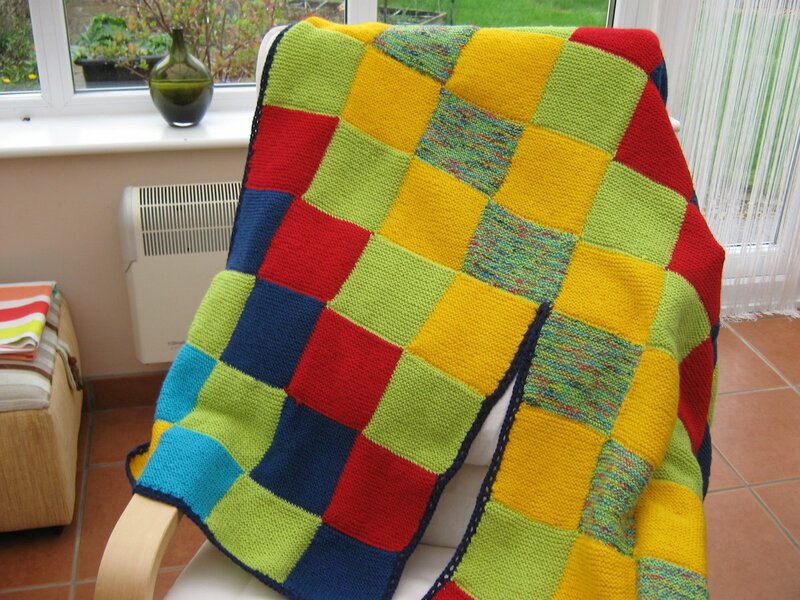 One elderly gentleman asked us if we could make him a large blanket for his very large bed. When the blanket was delivered to him, he told us that he had asked everyone around town and no one could help him. Now he is warm and happy.